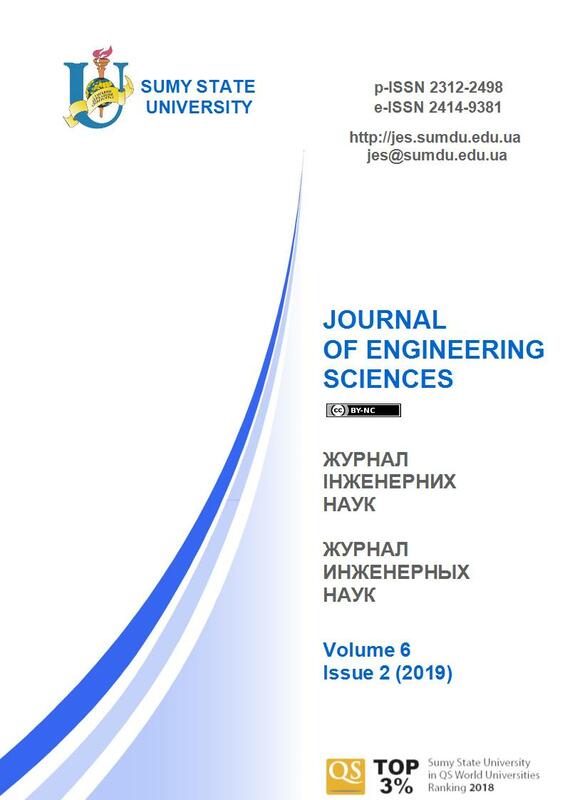 The “Journal of Engineering Sciences” is aimed at encouraging researchers to publish their theoretical and experimental results in as much detail as possible. The full experimental details should be provided, and the results can be reproduced. All the details of the simulation or experimental procedure should be supplemented. The main scope of the journal is to publish original research articles in the following area of “Manufacturing Engineering”, “Mechanical Engineering”, and “Chemical Engineering” with special focus on “Machines and Tools”, “Technical Regulations and Metrological Support”, “Materials Science”, “Dynamics and Strength of Machines”, “Computational Mechanics”, “Processes in machines and Devices”, “Energy Efficient Technologies”, and “Environmental Protection”. The journal is abstracted by the International databases, including Crossref, DOAJ, Index Copernicus, Google Scholar, WorldCat, etc. The journal is in the Category “B” of the List of Scientific Professional Editions of Ukraine (Minutes No. 1208 of 07.11.2018, Appendix No. 8). A double-blinded review is implemented. The “Unicheck” platform is used for plagiarism checking. In ethical issues, the “COPE” guidelines are followed. The peer-reviewing and editing process is short, the publication may appear on average within 3-4 months in the journal’s “Current Issue” menu after submission of the manuscript. The journal is published two times per year. This is an open-access journal: publishing and downloading articles are both free of charge. The journal does not charge authors any article processing charges (APCs), submission, or publication fees. Users have the right to read, download, copy, distribute, print, search, or link to the full text of these articles. Announcements regarding academic activities such as conferences are published primarily for free. Advertisement can be either published or placed on the pertinent website. For further information, please contact the Managing Editor.